Through a strategic partnership with Dell EMC, Iron Bow is able to provide both federal and commercial clients a broad, innovative portfolio from edge to core to cloud. 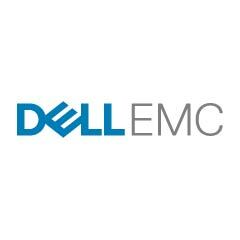 Dell EMC’s client and infrastructure offerings enable organizations to modernize, automate and transform their data center, while providing today’s workforce and consumers what they need to securely connect, produce and collaborate from anywhere at any time. www.dell.com/federal. Through solution areas such as hyper converged infrastructure, virtualization, server and storage consolidation, blade architecture, Iron Bow has become a preeminent supplier of Dell equipment to the U.S. Federal Government. Iron Bow’s strong partnership with Dell enables us to offer the entire Dell product line as well as architecture and implementation support capability.